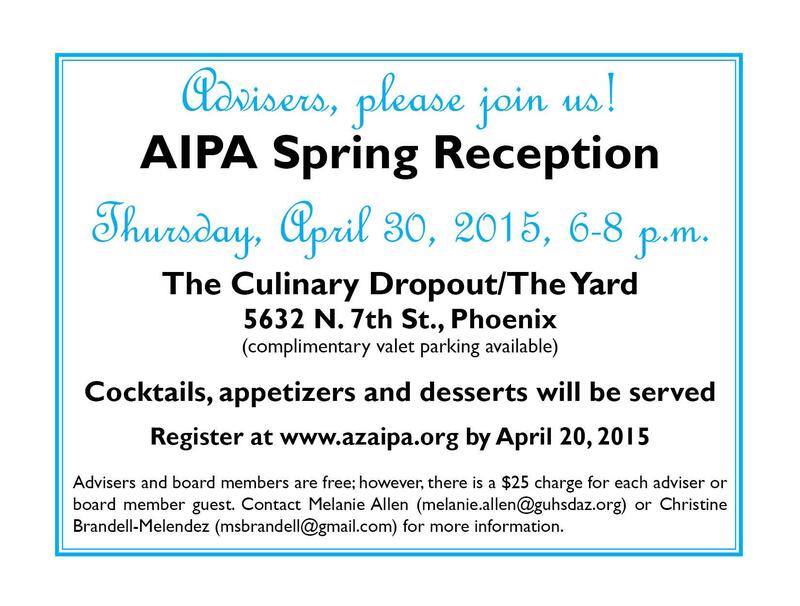 Join us April 30, 2015 from 6-8 p.m. for the 2015 Adviser Spring Reception where we will celebrate you – the adviser! We’ll have appetizers, desserts and cocktails as we network with one another and celebrate the 2015 adviser of the year recipients. Please note: Advisers and board members are free of charge; however, there is a $25 charge for each adviser or board member guest.